They are designed for soldering and desoldering SMD components easily, reducing process time. The PA120 works with two cartridges managed individually by the control unit to ensure the maximum accuracy and a quick temperature recovery. Each cartridge can deliver up to 40W. 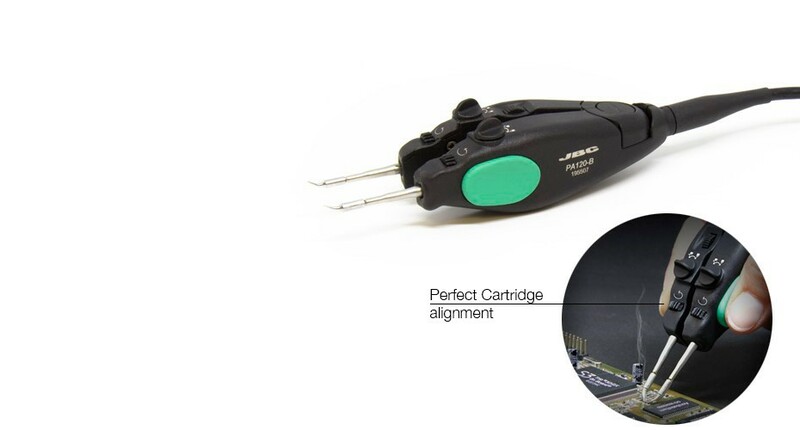 Perfect cartridge alignment The adjusting system guarantees that the cartridges are equally aligned, with vertical and rotatory symmetry. Shortest distance Tip-to-Grip Provides the greatest precision handling of the tool, even under microscope. It works with C120 cartridges.